So, um, we have these open trenches in the back yard at the moment, but we have this birthday party for the house coming up in a little over a week. 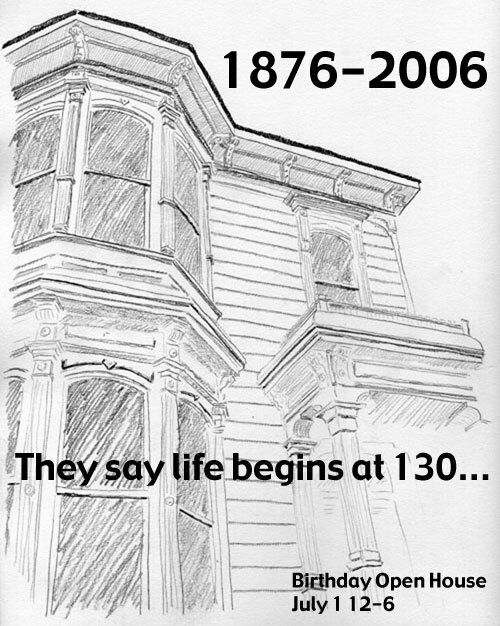 Will we get the sprinklers installed before a bunch of friends, neighbors, and absolute strangers show up to help us celebrate 130 years of decrepitude? Who knows. This could be like our first Christmas party, with no heat, no walls in the parlours, and a candle centerpiece that set fire to the table. Say what you like about our plants; we sure know how to get a party started. Drop an e-mail if you need more information, like how to get here. I like the invitation! Cute phrasing!